This actualization then results in a blended third space that is a melding of the digital and the physical, in which digital information is integrated into physical spaces. This third space is increasingly becoming the realm through which users interact with their environment, and it is through this space that individuals come to understand both the physical world and their own identities. Users are no longer present solely in the realm of the physical environment, and they are not able to be physically present in the realm of the virtual, but mobile media technologies allow individuals to exist in this hybrid third space that grants them the best of both worlds, as it were. Thus, an individual’s experience of reality is altered as a result of the interaction between the virtual and physical, and this is made possible by the mobility of media technologies. Larissa Hjorth (2011) compares mobile media such as smartphones to a Swiss army knife, primarily because of their multiplicity of uses (Fig. 2). Hjorth argues that it is because of this multiplicity that “scholars from various disciplines have been drawn to theorize mobile media” (Ross, 2011, online). She focuses on the two methodologies that she believes are most relevant to the study of mobile devices: the domestic technologies approach and the new media approach, also known as the remediation approach. Hjorth draws on Roger Silverstone to explain that domestication is a qualitative analysis of the ways in which “‘new’ objects change everyday life and are in turn changed by creative consumptive practices” (Ross, 2011, online). New media or remediation, meanwhile, is an examination of how these new devices result in a reinterpretation of the “new” media technologies of the past. Fig. 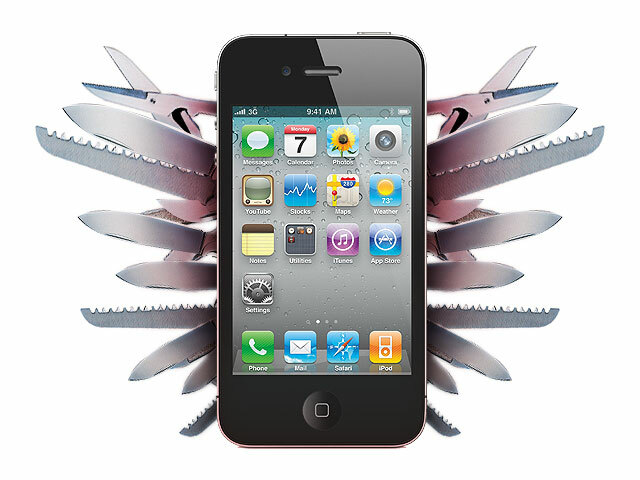 2: Larissa Hjorth asserts that the smartphone is the “twenty-first century’s equivalent to the Swiss army knife” (p. 438). Ultimately, Hjorth is concerned with how haptic or touch-based interfaces have allowed for a more intimate relationship between humans and their new media technologies, and she points out how this has often been ignored in media studies, which tend to focus on the visual. Finally, Hjorth draws upon Lev Manovich to discuss how “remediated emerging digital cultures” can be understood through the analog technologies of the past (2011, p. 443). She refers to this as the real/reel phenomenon, which she illustrates by discussing the rise of haptic screens used in location-aware gaming on platforms such as the iPhone or the LG Prada. Hjorth writes that, “Much of the specters of the analogue reel are more about the tactical experience of image processing,” and that this experience has been lost in the age of the digital and the haptic screen (2011, p. 444). As Stacy Ross (2011) of Future Cinema 1 contends, though, this experience has simply taken on a new dimension with the advent of apps that allow digital photographs to be manipulated so that they resemble old analog photos (online). This, then, is the embodiment of the reel/real phenomenon, and the definition of the new media or remediation approach to the study of mobile media. Hjorth concludes by discussing how mobility has led to a melding of humans and technology, and that rather than freeing us, this mobility has become a leash that binds users to the virtual space by ensuring that they are always connected to it. Meanwhile, Adriana de Souza e Silva and Daniel M. Sutko (2011) provide a brief but comprehensive overview of the history of virtual spaces, and argue that mobile, location-aware media (such as smartphones) are simply an extension of these virtual spaces. The authors do this by looking at two conceptions of the virtual. First, they explain the Platonic conception, which positions the virtual as a copy of reality. They use the WikiMe app as an example, explaining that this program “searches for Wikipedia entries based on one’s location” (de Souza e Silva & Sutko, 2011, p. 302). The maps and information provided by this program represent an inferior copy of the physical world. They point out, however, that this conception does not take into account the dynamic digital information that is otherwise absent in the physical space, but becomes attached to the physical space via the interface provided by mobile media technologies. De Souza e Silva & Sutko point to the WikiMe iPhone app as a representation of the Platonic conception. The authors then contrast this with the Aristotelean view, which has been adopted by the scholars such as Jean Baudrillard and Umberto Eco. In this conception, the virtual is a simulation of reality, and it is one that serves to “transform the real into its shadow” (de Souza e Silva & Sutko, 2011, p. 304). 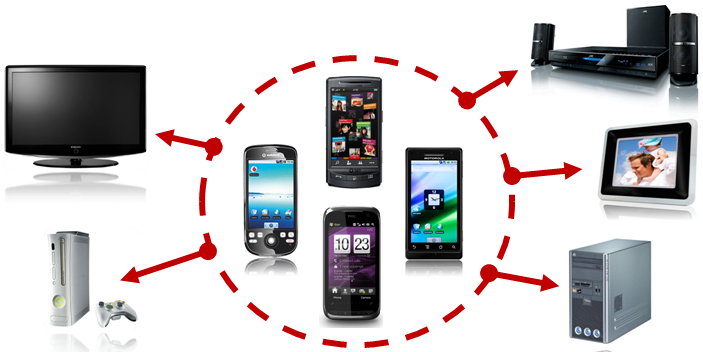 As an example, the authors return to the WikiMe app, and they explain that a physical location is transformed into a “marker” for the information about the physical location via the interface provided by the mobile device. This paradox then leads users to develop a new understanding about physical spaces, in which “the real can be unfolded into different possible realities” via the layering of the virtual onto the physical (de Souza e Silva & Sutko, 2011, p. 305). Hjorth (2011) expands on this idea, asserting that location-aware gaming highlights a number of other paradoxes, including “virtual and actual, online and offline, cerebral and haptic, delay and immediacy” (p. 440). The understanding that arises from these paradoxes points to the need to acknowledge that the digital information exists whether we access it or not, but it requires a user interfacing with a mobile device such as a smartphone to actualize this information. Thus, like Hjorth, the authors of this chapter are concerned with the fusion of humans and technology, as well as the melding of the physical and the virtual. This notion of a melding between humans and technology continues in Mark Deuze’s (2012) book Media Life, in which he posits that humans have so thoroughly incorporated media technologies into their lives that they are now living “in, rather than with, media” (p. 2). Borrowing the term “mediapolis” from Silverstone, Deuze explains that mobile media technologies have transformed our physical environment into “a comprehensively mediated public space where media underpin and overarch the experiences and expressions of everyday life” (2012, p. 3). He goes on to describe how mobile media technologies have transformed the way that individuals experience the world by creating a hybrid space that is a combination of the virtual and the physical, and that smartphones and augmented reality have allowed users to exist in that hybrid space. He points to the Japanese city of Akibahara as an example of what Frank Eckardt terms a “media-city” in which the convergence of media technologies and architecture has become ambient, resulting in a space in which the primary purpose “is to record, transmit and process information (about its locations and networks, its culture, its people and things)” (Deuze, 2012, p. 10). Deuze argues that the creation of this hybrid space has only been made possible by the advent of mobile media technologies, which have facilitated the layering of digital information on top of the physical environment. The Japanese city of Akibahara exemplifies Deuze’s notion of the “media-city,” as it represents a melding of the physical and the virtual. In many ways, digital tattoos embody this idea of using mobile media technologies to combine virtual spaces with the physical environment, particularly because they represent a literal melding of humans and mobile media technologies. In a way, they are a more immersive version of Deuze’s (2012) concept of the media landscape of cities, as they represent yet another way of wearing private media. Developed by artist Anthony Antonellis, a digital tattoo consists of an RFID chip that is implanted under the skin (Kuriakose, 2013, online). This chip contains information that can only be read by a smartphone or similar mobile device, and thus the tattoo can only be seen or actualized when viewed through this mobile device. In this way, the digital tattoo becomes a manifestation of Hjorth’s reel/real dichotomy, as it provides a new understanding of an old media technology (in this case, the ink and the tattoo stencil-pen itself) that is updated and understood through a new media technology. Furthermore, the tattoos also emphasize Hjorth’s notion of the “tyranny of mobile media’s creative labor/democratizing of media dimensions,” because the user would be enslaved to the technology, as it requires the implantation of an RFID tag (2011, p.441). However, a digital tattoo is not truly impacting time spent with intimates in the same way, so it could be considered more innocuous than locative mobile gaming. Digital or electronic tattoos represent another melding of the physical and the virtual. The digital tattoo consists of dynamic digital information that is not found in the physical space but becomes attached to it via the interface, and thus it transforms the human body into a physical space that is a source for digital information. Therefore, it embodies Baudrillard’s notion of the simulacra, as explained by de Souza e Silva & Sutko (2011) in their discussion of the concept of the digital wall; the digital tattoo communicates with the absence or presence of electrical current, rather than the absence or presence of ink. By imprinting this digital information onto the physical space of the human body, a digital tattoo transforms a human being into another facet of the mediapolis: individuals become another billboard or another physical space that has digital information layered over it, and that allows information from the virtual to be actualized through the use of mobile media technologies. According to de Souza e Silva & Sutko (2011), “material objects are increasingly interpenetrated by information patterns” (p. 310). In the case of digital tattoos, it is the human body itself that becomes interpenetrated by information patterns. Therefore, a digital tattoo represents an entanglement of human and mobile media technologies; thus it can be said to embody Deuze’s notion of “a life as lived in, rather than with, media” (2012, p. 2). Digital tattoos work on the same principal as the digital wall. Mobile media technologies have altered the ways in which individuals experience the physical world, because the interaction of digital information and physical environments has allowed users to experience reality within a hybrid third space. Using mobile devices, users can access information about a physical space to gain a greater understanding of that space, even when they are not physically present within it. As mobile media technologies continue to advance, they will allow physical spaces to become more immersive and interactive than ever before. The increasing mobility of media technologies allows for a more intimate and personal fusion of humans and machines, and as digital tattoos illustrate, that fusion is becoming more literal as time goes on. These humachines, as Deuze (2012) calls them, “must be seen as life forms for whom there is neither determinism by technology, nor freedom from machines” (p. 23). Thus, mobile media technologies such as smartphones and digital tattoos position human beings as simply another aspect of the media-city, and allow individuals to live as media, rather than simply with or even in media. de Souza e Silva, A., & Sutko, D. M. (2011). Placing location-aware media in a history of the virtual. In D. W. Park, N. W. Jankowski & S. Jones (Eds. ), The Long History of New Media: Technology, Historiography, and Contextualizing Newness (pp. 299-315). New York, NY: Peter Lang Publishing, Inc.
Deuze, M. (2012). Media life. (pp. 1-32). Malden, MA: Polity Press. Hjorth, L. (2011). The new media and technocultures reader. In S. Giddings & M. Lister (Eds. ), Domesticating New Media: A discussion on locating mobile media (pp. 437-448). New York, NY: Routledge.